21:Who are our Associate and Affiliate Members? 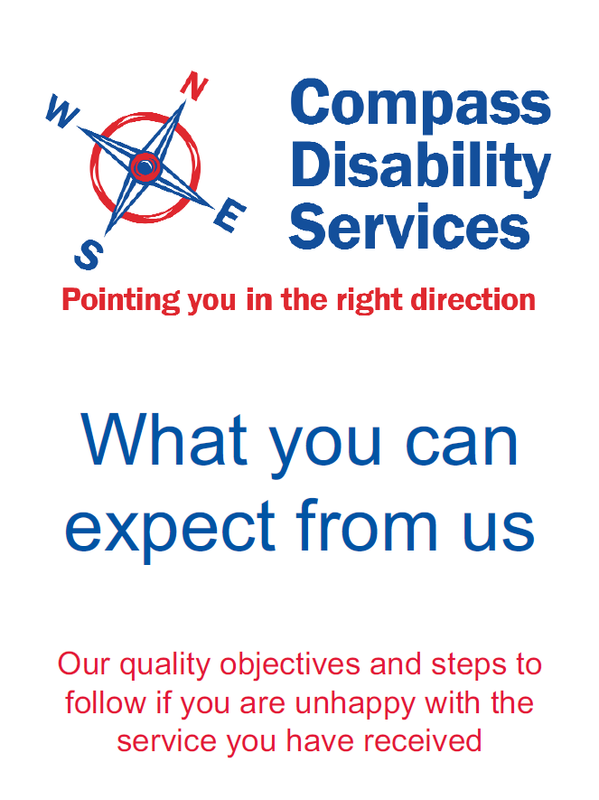 Compass Disability Services is committed to enabling users to influence and easily voice their views and opinions about its organisation and effect change where possible and appropriate. It will endeavour to satisfy users and partners requirements and get things right first time. Should a mistake be made, it will admit it and rectify the situation as quickly as possible. In line with its Equal Opportunities Policy, all people that come into contact with the organisation can expect to be treated fairly, with respect, dignity and understanding. It is recognised that it is not always possible to solve a problem in an informal way; therefore a complaints procedure has been drawn up to structure what a complainant should do and what response they can expect from the organisation. This procedure is available by clicking here or a copy can be requested by contacting the office. Details of all complaints are recorded in the organisation’s Complaint Log. In order to make improvements to how policies and procedures are implemented, Compass Disability Services will regularly review complaints that have been made, however informal. Any corrective action required to prevent future complaints and/or make improvements in service delivery will be noted in the organisation’s Action Log.